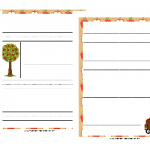 The fall season is just around the corner, but before it begins a new homeschool year will have begun! 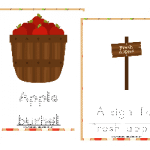 In order to get your students off to a great start you will have spent countless hours researching homeschool curriculum and preparing lesson plans and activities. 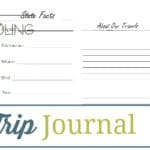 There will be some days that you need a break from formal lessons and field trips that require your students sharing their thoughts on the trip! 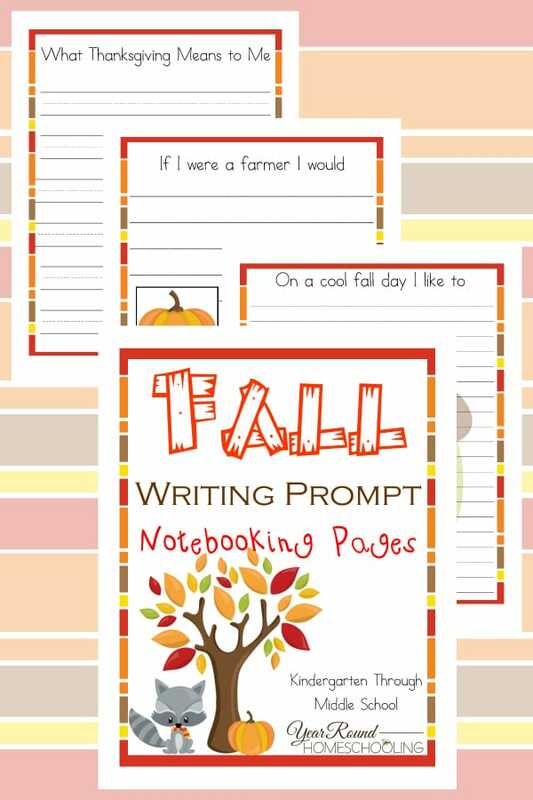 To make writing about what your students have done, want to do and things they enjoy about the fall season, these fall writing prompt notebooking pages allow your students to have fun! 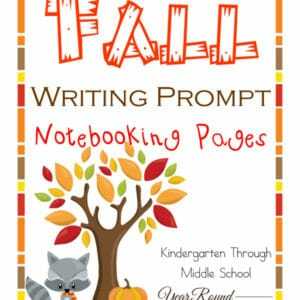 Inside you’ll find 70+ pages of fall writing prompt notebooking pages for Kindergarten through Middle Schoolers! Too bad, my children are too old to profit from these pages. I love the look of them, the bright colours, the lovely cover page. What a great idea. Thank you so much for posting these! My three year old tested to be in the vocabulary and intellectual ability scores of a 6 year old… but, she writes like a three year old. 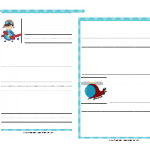 Soooo, I’ve spent my last week brainstorming and searching ways to increase her writing skills (I don’t believe in forcing her to do worksheet after worksheet….). I think we could do two of these per week…. one her drawing a picture and purposefully coloring for the prompt you present us with, and the second day of me writing what she says about the picture so she can be lead by example.